Situated in the turbulent heart of Europe, the Czech Republic has suffered from significant discontinuity in its historical development, but its economic thinking has not until now been subject to a full analysis. This book offers a history of Czech economic thought from the late Middle Ages to the present day. It traces methodological developments and the relationship between economics and politics, and introduces not just pioneering figures in the field but also those whose lives and careers were thwarted by history, as well as Czech exile thinkers. Identifying key themes in Czech economic thought, the volume considers which branches of economic theory have had the greatest influence on Czech thought, and explores the relationship between Czech economic thinking and wider established schools of thought. 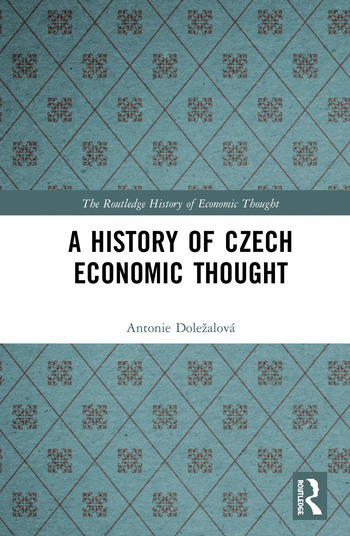 This book will benefit students and researchers of history of economic thought, economic history, economic theory, and political economy, as well as those with a specific interest in the Czech Republic. Antonie Doležalová is Associate Professor at the Institute of Economic Studies, Charles University, the Czech Republic.